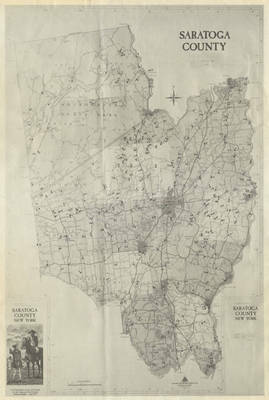 Map of Saratoga County, edited to indicate locations of cemeteries in each township. Map edited by Frank J. Lafforthun and Violet Dunn. Includes index to Saratoga County cemetery map, by township (4 leaves), dated September 24, 1977. 1 map on 1 sheet ; 56 x 43 cm.